The thing that got me interested in this book was its title. Isn’t the reference to Eminem’s song cool? But to be honest I was expecting a bit more from it. The plot is a little predictable, but quite enjoyable, and the message that lies within is very cool and powerful. If you ask me, this book is about finding your inner voice and achieving your maximum potential. We should all be out there doing just that. I liked the movie role idea; especially that it featured an aspect of movies we don’t often get exposed to. 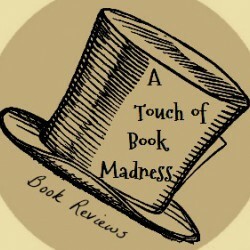 Certainly I had never read a book about a stunt double, and it was fun. This book has some romance elements, but I didn’t want to categorize it as Romance because it is actually more about a self discovery journey and a good lesson about friendship. The romance is almost a side effect; and I want to clarify that I assert this in the best possible way. There should more books about friendship out there. It was sort of refreshing, even if I love a good romance. The real problem with this book was its characters. In my opinion the only characters that had some judgment were Liv and Matt, more the later though, and sadly we got to see a little of them. Abi mentioned them a lot, but we really didn’t get to know them. The same goes with Vince, who seemed kind of cool, but I can’t tell. Character development was a bit poor, and a little bit forced if you ask me, and it was really hard to like them. Abi is soo annoying! Always complaining or over thinking stuff; and somewhat confusing if I may add. She sometimes was very insecure, and she excused herself way too much because of her stutter, but other times she was so full of herself. I know she was supposed to be a nice girl, but I didn’t see it. 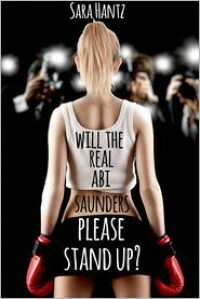 We never actually meet the real Abi Saunders, we just get a glimpse of what she allegedly was, because all I saw was a pushover who turned into a jerk, who finally got some balance but we didn’t get to enjoy it. I won’t even talk about Tilly or Jon, because they were either mean or fake, not the kind of person you want to be around, but that was the author’s intention, so mission accomplished! This book is so easy to read. Pages just flowed (metaphorical pages in my case). It has a good rhythm and pace, and the writing was impeccable. Which makes this book perfect for a “light fun read” mood. Finally, regarding POV, even though I already stated that I found Abi annoying, I think the narration was pretty good. This book was narrated by Abi herself, and the author really captured the train of thought a girl experiences in a very clear manner. *Note: I received a free copy of this book in exchange for an honest review, but my opinion was not biased in any way by this fact.